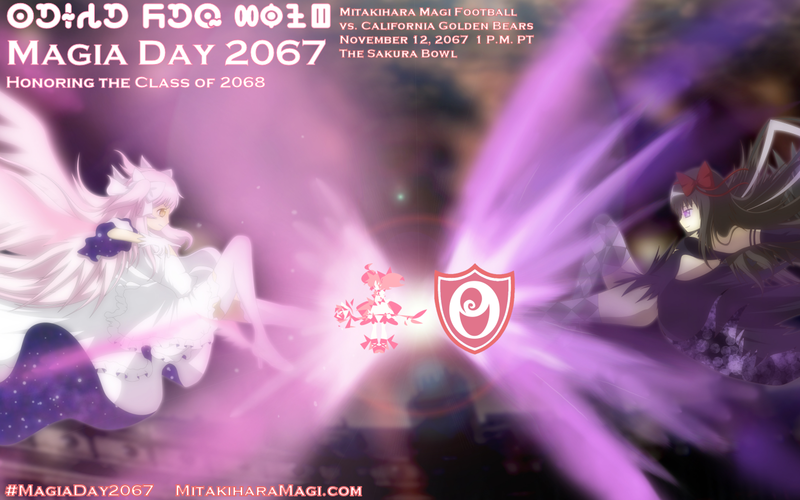 This year's Magia Day, honoring the student-athletes of the Mitakihara University Class of 2068, is a once-in-a-lifetime, one-of-a-kind Magia Day. 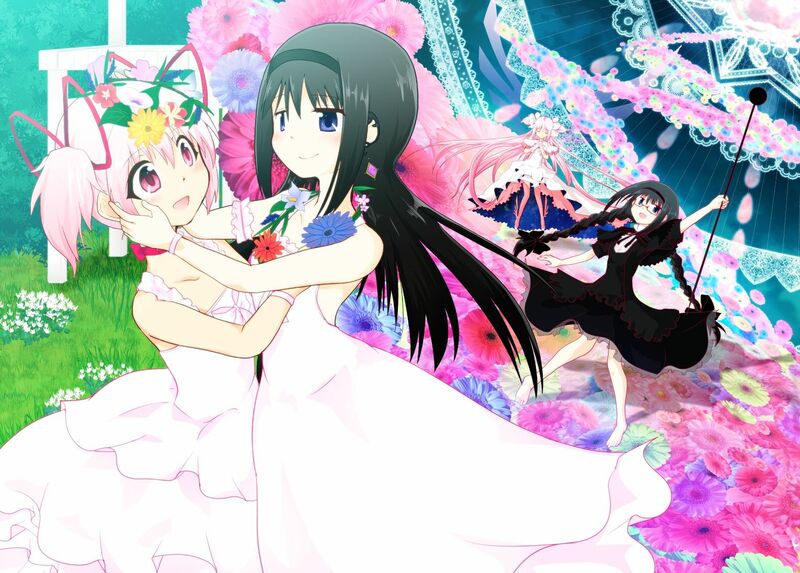 This game pits Tatsuya Kaname's Mitakihara Magi against the California Golden Bears and honors the Summer of Love that happened more than a century ago. The Summer of Love was a social phenomenon that occurred during the summer of 1967, when as many as 100,000 people converged on the Haight-Ashbury neighborhood of San Francisco, initiating a major cultural and political shift. Although hippies also gathered in major cities across the U.S., Canada and Europe, San Francisco remained the epicenter of the social earthquake that would come to be known as the Hippie Revolution. Like its sister enclave of Greenwich Village, the city became even more of a melting pot of politics, music, drugs, creativity, and the total lack of sexual and social inhibition than it already was. As the hippie counterculture movement came farther and farther forward into public awareness, the activities centered therein became a defining moment of the 1960s, causing numerous 'ordinary citizens' to begin questioning everything and anything about them and their environment as a result. This unprecedented gathering of young people is often considered to have been a social experiment, because of all the alternative lifestyles which became more common and accepted such as gender equality communal living and free love. Many of these types of social changes reverberated on into the early 1970s, and effects echo throughout modern society. Dee Dee Sonoda's great-great-great-grandparents took plenty of photos during those turbulent times in 1967. He keeps those old photos, as well as some old, dusty video archived to BD-DVD in a special photo album inside his dorm room that he will return to his parents Mitsuki Sonoda and Rina Sakai when he graduates. "Yeah, my ancestors experienced the 1960s and were a part of the change that was going on around the world," said Sonoda, the Magi's offensive captain this year. "So many crazy things going on. Really good music happened back then, too. Scott McKenzie's song 'San Francisco' is a favorite of mine. I often play it on my GarageBand app. "I think all the Cal players are excited for this game because even though they weren't there when the Summer of Love took place, we have a Summer of Love series of concerts at Your Silver Garden every week of Canada Day, so maybe that makes up for it. The funny thing about this is that we're not hippies. We're hipsters. I suppose some hippie elements are a part of this, but we think "Turn on, tune in, drop out" is so mainstream, and so last-century. "But just because we say that, doesn't mean we have every right to bash it because it did affect the world. So this year, we're honoring the Summer of Love's legacy by honoring the Class of 2068, of which I'm a proud member of."